Zheng Chenggong, Prince of Yanping (27 August 1624 – 23 June 1662), better known internationally by his Hokkien honorific Koxinga or Coxinga (Chinese: 國姓爺; pinyin: Guóxìngyé; Pe̍h-ōe-jī: Kok-sèng-iâ), was a Chinese Ming loyalist who resisted the Qing conquest of China in the 17th century, fighting them on China's southeastern coast. In 1661, Koxinga defeated the Dutch outposts on Formosa and established a dynasty, the House of Koxinga, which ruled the island as the Kingdom of Tungning from 1661 to 1683. Zheng Sen was born in 1624 in Hirado, Hizen Province, Japan, to Zheng Zhilong, a Chinese merchant and pirate and a Japanese woman, recorded only by her surname "Tagawa" or probably Tagawa Matsu. He was raised there until the age of seven with the Japanese name Fukumatsu (Japanese: 福松) and then moved to Nan'an county in Quanzhou in Fujian province of China. In 1638, Zheng became a Xiucai (a successful candidate) in the imperial examination and became one of the twelve Linshansheng (廩膳生) of Nan'an. In 1641, Koxinga married the niece of Dong Yangxian, an official who was a Jinshi from Hui'an. In 1644, Koxinga studied at the Imperial Nanking University, where he met the scholar Qian Qianyi and became his student. In 1644, Beijing fell to rebels led by Li Zicheng and the Chongzhen Emperor hanged himself on a tree at modern-day Jingshan Park in Beijing. Manchu armies aided by Wu Sangui's forces defeated the rebels and took the city. The Ming remnant forces retreated to Nanjing where they put Prince Fu on the throne as the Hongguang Emperor in an attempt to continue the Ming dynasty in the south. The next year, the Manchu armies led by Dodo advanced south and conquered Yangzhou and Nanjing while the Ming leader defending Yangzhou, Shi Kefa, was killed. The Hongguang emperor was captured and executed. In 1645, Prince Tang was installed on the throne of the Southern Ming as the Longwu Emperor with support from Zheng Zhilong and his family. The Longwu Emperor established his court in Fuzhou, which was controlled by the Zhengs. In the later part of the year, another Ming Prince Lu proclaimed himself as Regent (監國) in Shaoxing and established his own court there. Although Prince Lu and Longwu's regimes stemmed from the same dynasty, each pursued different goals. Due to the natural defences of Fujian and the military resources of the Zheng family, the emperor was able to remain safe for some time. The Longwu Emperor granted Zheng Zhilong's son, Zheng Sen, a new given name, Chenggong (成功; Chénggōng; Sêng-kong; 'success'), and the title of Koxinga ("Lord of the Imperial Surname"). One of his cousins also had it. In 1646, Koxinga first led the Ming armies to resist the Manchu invaders and won the favour of the Longwu Emperor. The Longwu Emperor's reign in Fuzhou was brief, as Zheng Zhilong refused to support his plans for a counter-offensive against the rapidly expanding forces of the newly established Qing dynasty by the Manchus. Zheng Zhilong ordered the defending general of Xianxia Pass (仙霞關), Shi Fu (a.k.a. Shi Tianfu, a relative of Shi Lang), to retreat to Fuzhou even when Qing armies approached Fujian. For this reason, the Qing army faced little resistance when it conquered the north of the pass. In September 1646, Qing armies broke through the inadequately defended mountain passes and entered Fujian. Zheng Zhilong retreated to his coastal fortress and the Longwu Emperor faced the Qing armies alone. Longwu's forces were destroyed; he was captured and was executed in October 1646. The Qing forces sent envoys to meet Zheng Zhilong secretly and offered to appoint him as the governor of both Fujian and Guangdong provinces if he would surrender to the Qing. Zheng Zhilong agreed and ignored the objections of his family, surrendering himself to the Qing forces in Fuzhou on 21 November 1646. Koxinga and his uncles were left as the successors to the leadership of Zheng Zhilong's military forces. Koxinga operated outside Xiamen and recruited many to join his cause in a few months. He used the superiority of his naval forces to launch amphibious raids on Manchu-occupied territory in Fujian and he managed to take Tong'an in Quanzhou prefecture in early 1647. However, Koxinga's forces lacked the ability to defend the newly occupied territory. Following the fall of Tong'an to Zheng, the Manchus launched a counterattack in the spring of 1647, during which they stormed the Zheng family's hometown of Anping. Koxinga's mother, Lady Tagawa, had come from Japan in 1645 to join her family in Fujian (Koxinga's younger brother, Tagawa Shichizaemon, remained in Japan). She did not follow her husband to surrender to the Qing Dynasty. She was caught by Manchu forces in Anping and committed suicide after refusal to submit to the enemy, according to traditional accounts. Zheng Chenggong statue in Xiamen, Fujian, China. The granite statue is 7001157000000000000♠15.7 m tall and weighs 7003161700000000000♠1617 tons. By 1650, Koxinga was strong enough to establish himself as the head of the Zheng family. He pledged allegiance to the only remaining claimant to the throne of the Ming Dynasty, the Yongli Emperor. The Yongli Emperor was fleeing from the Manchus in south-western China with a motley court and hastily assembled army at the time. Despite one fruitless attempt, Koxinga was unable to do anything to aid the last Ming emperor. Instead, he decided to concentrate on securing his own position on the southeast coast. Koxinga enjoyed a series of military successes in 1651 and 1652 that increased the Qing government's anxiety over the threat he posed. Zheng Zhilong wrote a letter to his son from Beijing, presumably at the request of the Shunzhi Emperor and the Qing government, urging his son to negotiate with the Manchurians. The long series of negotiations between Koxinga and the Qing Dynasty lasted until November 1654. The negotiations ultimately failed. The Qing government then appointed Prince Jidu (son of Jirgalang) to lead an attack on Koxinga's territory after this failure. On 9 May 1656, Jidu's armies attacked Jinmen, an island near Xiamen that Koxinga had been using to train his troops. Partly as a result of a major storm, the Manchus were defeated, and they lost most of their fleet in the battle. Koxinga had sent one of his naval commanders to capture Zhoushan island prior to Jidu's attack, and now that the Manchus were temporarily without an effective naval force in the Fujian area, Koxinga was free to send a huge army to Zhoushan, which he intended to use as a base to capture Nanjing. Koxinga, importantly, was mentally unstable, known to have a vicious temper and tendency towards ordering executions. While this might be explained by the trauma of his family being killed by the Qing army and his mother's reported suicide (in order to prevent capture by the Qing), it was also speculated that he suffered from syphilis, a suspicion held by a Dutch doctor, Christian Beyer, who treated him. Vittorio Riccio noted that Koxinga held samurai ideals on bravery, used "feigned and hearty laughter" to show anger, and adhered to bushido because of his samurai training and his Japanese upbringing. One Spanish missionary proffered a personal opinion that his bad temper and reported propensity for violence was due to Japanese heritage; however, this same missionary's account of the number of Koxinga's executions was greatly exaggerated. Koxinga suffered from "depressive insanity" and mental illness according to Dr. Li Yengyue. In 1661, Koxinga led his troops on a landing at Lakjemuyse [zh] to attack the Dutch colonists in Dutch Formosa. Koxinga said to the Dutch "Hitherto this island had always belonged to China, and the Dutch had doubtless been permitted to live there, seeing that the Chinese did not require it for themselves; but requiring it now, it was only fair that Dutch strangers, who came from far regions, should give way to the masters of the island." The Taiwanese Aboriginal tribes who were previously allied with the Dutch against the Chinese during the Guo Huaiyi Rebellion in 1652 turned against the Dutch during the Siege of Fort Zeelandia and defected to Koxinga's Chinese forces. The Aboriginals (Formosans) of Sincan defected to Koxinga after he offered them amnesty, and proceeded to work for the Chinese, beheading Dutch people. The frontier aboriginals in the mountains and plains also surrendered and defected to the Chinese on 17 May 1661, celebrating their freedom from compulsory education under Dutch rule by hunting down Dutch people and beheading them, and by destroying their Protestant school textbooks. On 1 February 1662, the Dutch Governor of Formosa, Frederick Coyett, surrendered Fort Zeelandia to Koxinga. According to Frederick Coyett's own self-justifying account written after the siege, Koxinga's life was saved at the end of the siege by a certain Hans Jurgen Radis of Stockaert, a Dutch defector who strongly advised him against visiting the ramparts of the fort after he had taken it, which Radis knew would be blown up by the retreating Dutch forces. This claim of a Dutch defector only appears in Coyett's account and Chinese records make no mention of any defector. In the peace treaty, Koxinga was styled "Lord Teibingh Tsiante Teysiancon Koxin" (大明招討大將軍國姓). This effectively ended 38 years of Dutch rule on Taiwan. Koxinga then devoted himself to transforming Taiwan into a military base for loyalists who wanted to restore the Ming dynasty. Koxinga formulated a plan to give oxen and farming tools and teach farming techniques to the Taiwan Aboriginals, giving them Ming gowns and caps, and gifting tobacco to Aboriginals who were gathering in crowds to meet and welcome him as he visited their villages after he defeated the Dutch. In 1662, Koxinga's forces raided several towns in the Philippines. Koxinga's chief adviser was an Italian friar named Vittorio Riccio, whom he sent to Manila to demand tribute from the colonial government of the Spanish East Indies, threatening to attack the city if his demands were not met. The Spanish refused to pay the tribute and reinforced the garrisons around Manila, but the planned attack never took place due to Koxinga's sudden death in that year after expelling the Dutch from Taiwan. Koxinga's threat to invade the islands and expel the Spanish was an important factor in the Spanish failure to conquer the Muslim Moro people in Mindanao. The threat of Chinese invasion forced the Spanish to withdraw their forces to Manila, leaving some troops in Jolo and by Lake Lanao to engage the Moro in protracted conflict, while their fort on Zamboanga in Mindanao was immediately evacuated following Koxinga's threats. The Spanish were also forced to permanently abandon their colony in the Maluku Islands (Moluccas) and withdraw their soldiers from there to Manila. Tonio Andrade judged that Koxinga would most likely have been able to defeat the Spanish if the threatened invasion had taken place. Koxinga died of malaria in June 1662, only a few months after defeating the Dutch in Taiwan, at the age of 37. There were speculations that he died in a sudden fit of madness when his officers refused to carry out his orders to execute his son Zheng Jing. Zheng Jing had had an affair with his wet nurse and conceived a child with her. Zheng Jing succeeded his father as the King of Tungning. As he descended into death, Koxinga relented and agreed to let his son Zheng Jing succeed him. Koxinga died as he passed into delirium and madness and expressed his regrets to his family and father. Zheng Chenggong’s short but eventful career was characterised by family tension and conflicting loyalties. 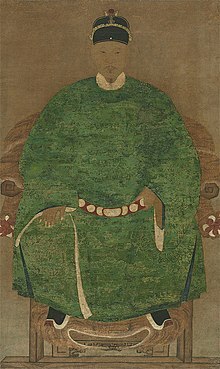 The title of Koxinga ("Lord of the Imperial Surname") was one that Zheng himself used during his lifetime to emphasize his status as an adopted son of the deposed imperial house, so it was also a declaration of ongoing support to the Ming dynasty. Despite his deliberate self-identification as the noble, loyal vassal of a vanquished master, Koxinga’s actual relationship with the Longwu Emperor lasted only twelve months or so, beginning in September 1645 and ending with the Emperor's death the following year. Although many secondary sources claim that the two men shared a "close bond of affection", there is an absence of any reliable contemporary evidence on Koxinga’s relationship with the Longwu Emperor. In contrast, Koxinga's father Zheng Zhilong left his Japanese wife not long after the birth of his son; Koxinga was a boy of seven when he finally joined his father on the Fujianese coast. It seems that Zheng Zhilong recognised his son’s talent and encouraged him in his studies and the pursuit of a career as a scholar-official, which would legitimise the power the Zheng family had acquired, using sometimes questionable means. Zheng Zhilong’s defection to the Qing must have seemed opportunistic and in stark contrast to Koxinga’s continued loyalty to the Ming. But it is difficult to deny that in refusing to submit to the Qing, Koxinga was risking the life of his father, and that the subsequent death of Zheng Zhilong could only be justified by claiming loyalty to the Ming. It has even been suggested that Koxinga’s fury at the incestuous relationship between his son, Zheng Jing, and a younger son’s wet nurse was due to the fact that strict Confucian morality had played such a crucial role in justifying his lack of filial behaviour. The one possible exception to this may have been his relationship with his mother, which has generally been described as being extremely affectionate, particularly in Chinese and Japanese sources. Their time together, however, was apparently very short – despite frequent entreaties from Zheng Zhilong for her to join him in China, Koxinga’s mother was only reunited with her son some time in 1645, and a year later she was killed when the Qing took Xiamen. A portrait of Zheng was in the hands of Yuchun who was his descendant in the eight generation. Koxinga's descendants live in both mainland China and Taiwan and descendants of his brother Shichizaemon live in Japan. His descendants through his grandson Zheng Keshuang served as Bannermen in Beijing until 1911 when the Xinhai revolution broke out and the Qing dynasty's fell, after which they moved back to Anhai and Nan'an in southern Fujian. They still live there to this day. His descendants through one of his sons Zheng Kuan live in Taiwan. One of Koxinga's descendants on mainland China, Zheng Xiaoxuan 鄭曉嵐 the father of Zheng Chouyu 鄭愁予, fought against the Japanese invaders in the Second Sino-Japanese War. Zheng Chouyu was born in Shandong in mainland China and called himself a "child of the resistance" against Japan and he became a refugee during the war, moving from place to place across China to avoid the Japanese. He moved to Taiwan in 1949 and focuses his work on building stronger ties between Taiwan and mainland China. Zheng Chouyu was born in mainland China, he identified as Chinese and he felt alienated after he was forced to move to Taiwan in 1949 which was previously under Japanese rule and felt strange and foreign to him. He is Koxinga's 11th generation descendant and his original name is Zheng Wenji. "Koxinga: Chronicles of the Tei Family" was written by R. A. B. Posonby-Fane. It is debated whether he was clean-shaven or wore a beard. Koxinga's legacy is treated differently on each side of the Taiwan Strait. Koxinga is worshiped as a god in coastal China[clarification needed], especially Fujian, by overseas Chinese in Southeast Asia and in Taiwan. There is a temple dedicated to Koxinga and his mother in Tainan City, Taiwan. The National Cheng Kung University in Tainan, one of the most prestigious universities in Taiwan, is named after him. Koxinga's army also brought the Qinxi fraternal brotherhood into Taiwan, of which some of his army were members of the organization. In the present day, the Qinxi currently exists in Taiwan. The Hongmen are associated with them. Tokugawa Japan imported books from Qing China including works on the Zheng family. The Qing built a shrine to commemorate Koxinga to counteract the Japanese and French in Taiwan in the 19th century. Zheng Juzhong's books Zheng Chenggong zhuan was imported to Japan and reprinted in 1771. The play The Battles of Coxinga was written by Chikamatsu Monzaemon in Japan in the 18th century, first performed in Kyoto. A 2001 film titled The Sino-Dutch War 1661 starred Vincent Zhao as Koxinga. The film was renamed Kokusenya Kassen after the aforementioned play and released in Japan in 2002. Koxinga has received renewed attention since rumors began circulating that the People’s Liberation Army Navy were planning to name their newly acquired aircraft carrier, the ex-Soviet Varyag, the "Shi Lang". Admiral Shi Lang famously defeated Koxinga’s descendants in the 1683 Battle of Penghu, thus bringing Taiwan under Qing rule. However, the Chinese government denied all allegations that the vessel would be dedicated to the decorated Qing dynasty admiral. The Republic of China, which withdrew to Taiwan after losing the Chinese Civil War, regards Koxinga as a patriot who also retreated to Taiwan and used it as a base to launch counterattacks against the Qing dynasty of mainland China. In Taiwan, Koxinga is honored as the island’s most respected saint for expelling the Dutch and seen as the original ancestor of a free Taiwan, and is known as Kaishan Shengwang, or "the Sage King who Opened up Taiwan" and as "The Yanping Prince", referring to the Kingdom of Tungning, which he established in modern-day Tainan. In Taiwan, Koxinga is remembered and revered as a divine national hero with hundreds of temples, schools, tertiary educations, and other public centers named in his honor. Koxinga is accredited with replacing Dutch colonial rule with a more modern political system. Furthermore, Koxinga transformed Taiwan into an agrarian society through the introduction of new agricultural methods such as the proliferation of iron farming tools and new farming methods with cattle. For these reasons, Koxinga is often associated with "hints of [a] consciousness of Taiwanese independence". Although Koxinga himself wanted Taiwan unified with the rest of China. Great care was taken to symbolise support for the Ming legitimacy, an example being the use of the term guan instead of bu to name departments, since the latter is reserved for central government, whereas Taiwan was to be a regional office of the rightful Ming rule of China. However, not all Taiwanese accept the popularized interpretation of the Koxinga legacy. Supporters of Taiwanese independence are skeptical about embracing the Koxinga legacy. Koxinga's mixed Japanese heritage (the Japanese were an occupying force for 50 years between 1895 and 1945) and the positive connotations in mainland China have all made acceptance by Taiwan independence supporters problematic. In mainland China, Koxinga is considered a positive historical but human figure (not deified as he often is in Taiwan). [clarification needed] Koxinga’s retreat to Taiwan is seen largely as an inspirational story of Chinese nationalists seeking refuge against hostile forces. Koxinga's aspirations to see Taiwan united with the mainland is often accentuated. Furthermore, Koxinga facilitated the settlement of a large number of Han Chinese to Taiwan who brought with them their Han cultures, traditions, and languages. As a direct result, Han Chinese make up approximately 98% of the Taiwanese population today. The historical novel Lord of Formosa by Dutch author Joyce Bergvelt uses Koxinga as the main character. There are hundreds of public pieces, shrines dedicated to and worship Koxinga. The Koxinga Temple in Tainan City, Taiwan, is perhaps the most interesting as it is "the only Fujianese style shrine in Taiwan". [attribution needed] The temple "illustrat[es] the geographic connection between Taiwan and the Mainland, [whilst] describ[ing] the evolution of life from the past to the present",[attribution needed] which means that the temple acknowledges that Koxinga is a legacy shared by both Taiwan and the Mainland and that this perhaps is still important today. In Mainland China however, there is only one official memorial to their "conqueror of Taiwan" and that is on Gulang Island of Xiamen, Fujian Province, which is positioned directly across Taiwan's Kinmen. The imposing statue of Zheng Chenggong in full military regalia, gazes over the water facing Taiwan. (Not to be confused with the 9 meter tall Zheng Chenggong statue that is on a pedestrian-only island in the Jiankong islet in Jincheng Township, Kinmen County, Taiwan). This difference in commemoration of the Koxinga story illustrates the wide difference in attitudes on either side of the Taiwan Strait on the issue of Taiwan sovereignty. ^ Wills (1974), p. 28 and Keene (1950), p. 46 both agree that Zheng's wife's surname was "Dong" (董). Clements (2004), p. 92 however, claims her name was "Deng Cuiying". Chang (1995), p. 740 introduces her as "Tung Ts'ui-ying", which would be "Dong Cuiying" in Hanyu Pinyin. ^ From the London Times (November 26, 1858). "The Pirates of the Chinese Seas". The New York Times. ^ The China Review, Or, Notes and Queries on the Far East. "China Mail" Office. 1884. pp. 346–. ^ THe Orient. Orient Publishing Company. 1950. p. 20. ^ Marius B. Jansen; Professor Marius B Jansen (1992). China in the Tokugawa World. Harvard University Press. p. 26. ISBN 978-0-674-11753-2. ^ Croizier (1977), p. 11; Keene (1950), p. 45. ^ "1.鄭成功の足跡と鄭成功が結ぶ友好国" (in Japanese). Tei-Sei-Kou Memorial Museum. Retrieved 24 October 2015. ^ Ryōtarō Shiba (2007). The Tatar Whirlwind: A Novel of Seventeenth-century East Asia. Floating World Editions. p. 426. ISBN 978-1-891640-46-9. ^ a b Croizier (1977), p. 12. ^ Carioti, "The Zhengs' Maritime Power in the International Context of the 17th Century Far East Seas: The Rise of a 'Centralised Piratical Organisation' and Its Gradual Development into an Informal 'State'", p. 41, n. 29. ^ Mote & Twitchett (1988), p. 658–660. ^ a b Struve (1984), pp. 87-88. ^ 近松門左衛門; Mark Van Doren (1951). The battles of Coxinga: Chikamatsu's puppet play, its background and importance. Taylor's Foreign Press. p. 45. ^ Mote & Twitchett (1988), p. 675-676. ^ Struve (1984), p. 98. ^ Andrade (2005), § 12. ^ Keene (1950), p. 46. ^ a b c Struve (1984), p. 116. ^ "Koxinga Statue at Gulangyu receives Sculpture Achievement Award". Retrieved 24 September 2018. ^ Struve (1984), p. 159. ^ Struve (1984), p. 160–166. ^ Struve (1984), p. 181. ^ Struve (1984), p. 182. ^ FREDERIC WAKEMAN JR. (1985). The Great Enterprise: The Manchu Reconstruction of Imperial Order in Seventeenth-century China. University of California Press. pp. 1047–1048. ISBN 978-0-520-04804-1. ^ Andrade, Tonio (2011). Lost Colony: The Untold Story of China's First Great Victory over the West. Princeton: Princeton University Press. pp. 298–303. ISBN 978-0-691-14455-9. ^ Xing Hang (5 January 2016). Conflict and Commerce in Maritime East Asia: The Zheng Family and the Shaping of the Modern World, c.1620–1720. Cambridge University Press. pp. 74–75. ISBN 978-1-316-45384-1. ^ Tonio Andrade (3 October 2011). Lost Colony: The Untold Story of China's First Great Victory over the West. Princeton University Press. pp. 83–. ISBN 978-1-4008-3953-7. ^ Matsuda Wataru (2013-09-13). Japan and China: Mutual Representations in the Modern Era. Routledge. pp. 197–. ISBN 978-1-136-82109-7. ^ Sino-Japanese Studies. Sino-Japanese Studies Group. 1993. p. 28. ^ Frank N. Magill (2013-09-13). The 17th and 18th Centuries: Dictionary of World Biography. Routledge. pp. 298–. ISBN 978-1-135-92414-0. ^ The Manchester Guardian Weekly. John Russell Scott for the Manchester Guardian, Limited. July 1950. p. 149. ^ William Campbell (1903). Formosa Under the Dutch: Described from Contemporary Records, with Explanatory Notes and a Bibliography of the Island. Kegan Paul. pp. 423–. ^ Covell, Ralph R. (1998). Pentecost of the Hills in Taiwan: The Christian Faith Among the Original Inhabitants (illustrated ed.). Hope Publishing House. pp. 96–97. ISBN 978-0-932727-90-9. Retrieved December 10, 2014. ^ Chiu, Hsin-Hui (2008). The Colonial 'civilizing Process' in Dutch Formosa: 1624–1662. Volume 10 of TANAP monographs on the history of the Asian-European interaction (illustrated ed.). BRILL. p. 222. ISBN 978-9004165076. Retrieved December 10, 2014. ^ Campbell (1903), p. 452. ^ "Wayback Machine". archive.org. 14 July 2007. Retrieved 5 April 2018. ^ Davidson (1903), p. 51. ^ Borao, José Eugenio (2010). The Spanish experience in Taiwan, 1626–1642: the Baroque ending of a Renaissance endeavor. Hong Kong University Press. p. 199. ISBN 978-962-209-083-5. JSTOR j.ctt1xcrpk. ^ "How Taiwan Became Chinese: Conclusion". www.gutenberg-e.org. Retrieved 5 April 2018. ^ Xing Hang (5 January 2016). Conflict and Commerce in Maritime East Asia: The Zheng Family and the Shaping of the Modern World, c.1620–1720. Cambridge University Press. pp. 143–. ISBN 978-1-316-45384-1. ^ Wills, John E. Jr (1994). Mountain of Fame: Portraits in Chinese History. Princeton: Princeton University Press. p. 225. ISBN 978-0-691-05542-8. ^ Croizier (1977), p. 20. ^ a b Croizier (1977). ^ Croizier (1977), p. 11. ^ Wills (1994), p. 222. ^ Croizier (1977), p. 47. ^ Croizier (1977), p. 48. ^ Posonby Fane, R A B (1937). "Koxinga: Chronicles of the Tei Family, Loyal Servants of the Ming". Transactions of the Japan Society of London. 34: 79. ^ Croizier (1977), p. 13. ^ Struve (1993), p. 180. ^ Xing Hang (5 January 2016). Conflict and Commerce in Maritime East Asia: The Zheng Family and the Shaping of the Modern World, c.1620–1720. Cambridge University Press. pp. 239–. ISBN 978-1-316-45384-1. ^ Xing Hang (5 January 2016). Conflict and Commerce in Maritime East Asia: The Zheng Family and the Shaping of the Modern World, c.1620–1720. Cambridge University Press. pp. 233–. ISBN 978-1-316-45384-1. ^ Chung-To Au (2008). Modernist Aesthetics in Taiwanese Poetry Since The 1950s. BRILL. pp. 154–. ISBN 978-90-04-16707-0. ^ "八旬诗人郑愁予 鼓浪屿聊诗歌". 北京晚报. 2016-10-25. ^ Young-tsu Wong (2017-08-05). China's Conquest of Taiwan in the Seventeenth Century: Victory at Full Moon. Springer Singapore. pp. 222–. ISBN 978-981-10-2248-7. ^ Jonathan Manthorpe (2008). Forbidden Nation: A History of Taiwan (illustrated ed.). Macmillan. p. 77. ISBN 978-0-230-61424-6. Retrieved Dec 20, 2011. ^ Ralph Covell (1998). Pentecost of the Hills in Taiwan: The Christian Faith Among the Original Inhabitants (illustrated ed.). Hope Publishing House. p. 96. ISBN 978-0-932727-90-9. Retrieved Dec 20, 2011. ^ James A. Michener; A. Grove Day (15 April 2014). Rascals in Paradise. Random House Publishing Group. pp. 109–. ISBN 978-0-8041-5151-1. ^ "Tainan to build replica of Koxinga-era sailing junk". Taipei Times. Sep 12, 2007. There are several temples in Anping and Tainan dedicated to Koxinga and his mother. ^ Kennedy, Brian; Guo, Elizabeth (2008). Chinese Martial Arts Training Manuals: A Historical Survey (2, illustrated ed.). Berkeley, Calif.: Blue Snake. p. 152. ISBN 978-1-58394-194-2. OCLC 182663920. The Qinxi Tong is an example of a non-criminal fraternal organization. The original Qinxi group in Taiwan was made up of men who had been part of Koxinga's forces...affiliation with...the Hung Men...The Taiwanese Qinxi fraternal organization is still active, teaching martial arts and engaging in other activities. ^ Xing Hang (5 January 2016). Conflict and Commerce in Maritime East Asia: The Zheng Family and the Shaping of the Modern World, c.1620–1720. Cambridge University Press. pp. 5–. ISBN 978-1-316-45384-1. ^ Matsuda Wataru (2013-09-13). Japan and China: Mutual Representations in the Modern Era. Taylor & Francis. pp. 115–. ISBN 978-1-136-82116-5. ^ Sino-Japanese Studies. Sino-Japanese Studies Group. 1994. p. 24. ^ Arendie Herwig; Henk Herwig (2004-01-01). Heroes of the Kabuki Stage: An Introduction to Kabuki, with Retellings of Famous Plays Illustrated by Woodblock Prints. Hotei Pub. p. 109. ISBN 978-90-74822-61-9. ^ James Albert Michener; Arthur Grove Day (2016). Rascals in Paradise. Dial Press. pp. 108–. ISBN 978-0-8129-8686-0. ^ a b "How to remember Koxinga: Contested legacy". The Economist. 27 July 2012. Retrieved 28 July 2012. ^ a b Andrade, Tonio (May 25, 2012). "Foreigners Under Fire". The Diplomat. Retrieved May 26, 2012. ^ a b c Wong Kwok Wah (14 March 2002). "One Hero, Two Interpretations". Asia Times Online. Retrieved 10 September 2012. ^ Andrade (2011), Dramatis Personae. ^ Wills, John E., Jr. (2006). "The Seventeenth-century Transformation: Taiwan under the Dutch and the Cheng Regime". In Rubinstein, Murray A. (ed.). Taiwan: A New History. M.E. Sharpe. pp. 84–106. ISBN 9780765614957. ^ Winterton, Bradley (2018-05-03). "Book review: Imagining the exploits of Koxinga". Taipei Times. p. 14 (web page 1/2). Retrieved 2018-11-24. ^ a b "Koxinga Shrine". Taiwan: The Heart of Asia. Tourism Bureau, Republic of China (Taiwan). 13 April 2012. Retrieved 9 January 2014. Andrade, Tonio (2005). "Chapter 10: The Beginning of the End". How Taiwan Became Chinese: Dutch, Spanish, and Han Colonization in the Seventeenth Century. Columbia University Press. Andrade, Tonio (2011). Lost Colony: The Untold Story of China's First Great Victory over the West. Princeton, N.J.: Princeton University Press. ISBN 978-0-691-14455-9. Campbell, William (1903). Formosa under the Dutch: described from contemporary records, with explanatory notes and a bibliography of the island. London: Kegan Paul. LCCN 04007338. Chang, Hsiu-Jung (1995). The English factory in Taiwan, 1670–1685. Taipei, Taiwan: National Taiwan University. ISBN 9789579019873. Clements, Jonathan (2004). Coxinga and the Fall of the Ming Dynasty. Stroud, Gloucestershire: Sutton. ISBN 978-0-7509-3269-1. Croizier, Ralph C. (1977). Koxinga and Chinese Nationalism History, Myth, and the Hero. Cambridge: Harvard University Press. ISBN 978-0-674-50566-7. Davidson, James W. (1903). "Chapter IV: The Kingdom of Koxinga: 1662–1683". The Island of Formosa, Past and Present : history, people, resources, and commercial prospects : tea, camphor, sugar, gold, coal, sulphur, economical plants, and other productions. London and New York: Macmillan. OCLC 1887893. OL 6931635M. Keene, Donald (1950). The Battles of Coxinga: Chikamatsu's Puppet Play, Its Background and Importance. London: Taylor’s Foreign Press. Meij, Philip. Daghregister van Philip Meij: Het naervolgende sijnde 't geene per memorie onthouden van 't gepasseerde in 't geweldigh overvallen des Chinesen mandorijns Cocxinja op Formosa en geduijrende ons gevanckenis, beginnende 30 April 1661 en eijndigende 4 Februarij 1662. Dutch National Archive, VOC 1238: 848–914. Paske-Smith, M. Western Barbarians in Japan and Formosa in Tokugawa Days, 1603–1868. New York: Paragon Book Reprint Corp., 1968. Wang Chong (2008). Interpreting Zheng Chenggong: The Politics of Dramatizing a Historical Figure in Japan, China, and Taiwan (1700–1963) (in German). VDM Verlag Dr. Müller. ISBN 978-3-639-09266-0. Struve, Lynn A. (1984). The Southern Ming 1644–1662. New Haven: Yale University Press. ISBN 978-0-300-03057-0. Struve, Lynn A. (1993). Voices from the Ming-Qing Cataclysm: China in Tiger's Jaws. New Haven: Yale University Press. ISBN 978-0-300-07553-3. Tsai, Shih-shan Henry (2009). "Chapter 2: Taiwan's Seventeenth-Century Rulers: The Dutch, the Spaniards, and Koxinga". Maritime Taiwan: Historical Encounters with the East and the West. M.E. Sharpe. pp. 19–45. ISBN 978-0-7656-2328-7. Mote, Frederick W.; Twitchett, Denis C., eds. (1988). The Cambridge History of China: Volume 7, The Ming Dynasty 1368–1644. Cambridge University Press. ISBN 978-0-521-24332-2. OCLC 461974161. Wills, John E. Jr. (1974). Pepper, Guns, and Parleys: The Dutch East India Company and China, 1622–1681. Cambridge: Harvard University Press. OCLC 122361616.